As we start this game together, I would like to go over some ground rules so that we are all on the same page and things are clear from the start. This is a game of EXPLORATION not of CONQUEST. The whole purpose behind this game is to familiarize you with the Disney Properties, Movies, Shows, Games and some 'myth' as well. While you will be battling at certain times with different creatures and people, my hope for you is that you walk away from this with a better understanding of Disney and it’s affiliates, so that when you take a trip there, watch a movie, or see any kind of production and see something that you are unfamiliar with, you can go back and dig up some of the experiences from this game and it will bring back memories and maybe even a lesson or two. The game that we are playing has taken some time to make. I have taken a popular RPG that I liked and rebuilt it for our needs. I think that it builds team play (or separation) and after running several tests on it, seems to hold its own. Please remember though, not everything may work as well as we all would like in the beginning so I will tweak it as we go. For this purpose, I created a list of rules below to try to keep us on track. No arguing with the GM. Should we run into a 'gray' area of the rules, a decision will be made and that's it. The game is designed for storytelling. Teamwork is recommended but NOT enforced. Players will receive cards and other things PRIVATELY so, if you decide that you do NOT want to share some things with the group, you have that ability. At different times during the course of the game the same action can be handled differently. Group roles, single roles, etc., can be handled multiple ways. The reason for this is there may be something else going on that the Players may not be aware of, situations change, group dynamics change, MANY different unforeseen factors that can be affecting your role … go with it, when in doubt refer back to rule #1. This game is not designed to make any Player/Character wealthy or overly powerful. It is designed for you to experience things through your Character and for you, as the Player Character to walk away with things that your Character has earned in game … prizes, if you will. During the course of the game, you are encouraged to take notes on your in-game play and Character “Checks,” (immediate in-game GM acknowledgements for playing in Character, conforming to story lines, assisting other Characters for any number of reasons, or vice-versa, etc.) so that they can be easily gone over later for XP dispersement. There is no use of destructive weapons. A weapon is by definition, "A thing designed or used for inflicting bodily harm or physical damage." You may not kill, injure or "un-animate" another PC or NPC directly. Should you, as Woody from Toy Story, decide to draw your gun from your holster and fire it at Buzz Lightyear's head, you are guaranteed that a flag will pop out that says "BANG!" on it. Should you though, draw the same weapon and fire off a round at the "Barrel Full of Monkeys," ricochet it off Bo-peep's Staff to drop a jail on the evil Pork Chop, THAT is allowable, and you MIGHT even see experience points for such cleverness with the understanding that you: A.) Call your shot first and B.) Successfully roll the bonus checks necessary to achieve such a feat from your Character sheet. No kidding...NO killing. If you have a concern about it ... see Rule #1. A word of warning, should you become TOO clever or TOO imaginative, you will risk the shot backfiring. Like any good chain, the longer the chain, the more chances for individual links to fail. Dice can turn on a player without a moment's notice, and a GM can be just as clever for repeated "Grandstanders." You have been warned. You are allowed to trade Shop items at any time providing the GM is aware and has approved the trade. All Character books and cards, other than those purchased in the shop, are to stay with the GM. Lastly, have fun with this! A lot of work goes into this game so that you, the Player, has an enjoyable experience. ENJOY THE GET AWAY and if you see someone struggling in the game, help them, that's the reason we are all here, to prep for our individual vacations and SHARE IN THE EXPERIENCE. P.S. If you feel the GM is doing his job, please feel free to reward him (affectionately called, “Bribing the GM”), while it is INCREDIBLY fun to watch this story unfold, I am the one behind the scenes making this ready for you every month - I will not see the rewards that your Characters do and it is nice to receive things for the game … you might even see it benefit you in game … maybe. At the end of every game, XP will be given out. Each Player will go to the GM in private and bring your list of in-game experiences and “checks”… your notebook. After calculating all of your XP you will have the ability to go to, The Shop, at which time you will receive another card like the one you received with your invite or at the start of the game. These cards are designed to add to or subtract from your in-game play. These cards may be played during or after the game, some even BEFORE (see the front of each card for details) and are a way for random chance to affect each character. There are several cards, with new ones being added each month; they can help or hinder and you may save them or use them anytime you wish. There is one rule when it comes to the cards … you may NOT play them against the GM, otherwise, the sky is the limit. These can be collected or discarded as you choose, but be aware, somewhere down the road that the amounts of cards, used or unused, in your possession, may affect the game as well. Once a card is used, it will be punched and is no longer usable. Each Player will be given an opportunity to cash in all of the funds they have managed to collect in a game to purchase pins from The Shop. Instance cards can effect how many pins you are allowed to get. As the game play continues over the next few months, it is my hope that all of you begin to grow your collections AT LEAST enough that you can do pin trading in The Disney Parks as well as around here. As your collection grows, it would be wise to bring it with so that you can start working on sets as well as trading with others. I am aware that there are “scrappers” (imitation Disney pins) in The Shop, I purchase these pins in bulk and feel that if you like the character and don’t have the pin, it doesn’t matter WHAT kind of pin it is, as long as you can add it to your collection. That's the fun of the hobby. If you are interested in adding better quality pins to your collection, I will be more than willing to give you more info than you can possibly imagine on the subject. 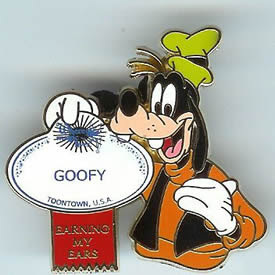 Base rule here: these pins are acceptable to use for trading purposes in the Parks, that's all that counts. From time to time OTHER ITEMS will appear in The Shop for sale. These items are just like any other item that you must purchase. “Sorcerers of the Magic Kingdom" Cards fall under this category. SotMK Cards are used to play a battling game within the Magic Kingdom and are immediate collector's items. There are many items associated with this game so keep a sharp eye out for them. Name Badges are required if your going to cast spells from lanyards, if you have not attached one to your lanyard the player is unable to cast Lanyard Spells. ​It is the players responsibility to print out their own name badge and to make sure that it is current. You currently achieve rank by attending Kingdom Traders Game Nights. Every THREE Game nights you attend (collectively), you go up ONE rank in any skill of your choice on the front of your Character Sheet. Anyone under 3 games will have a “EME” (Earning My Ears) in place of Rank. In Game, these badges can be used to clear through certain areas, such as security check zones, card doors, alarm points or computer terminal access. Be aware, it is not always the HIGHEST rank that gains access. 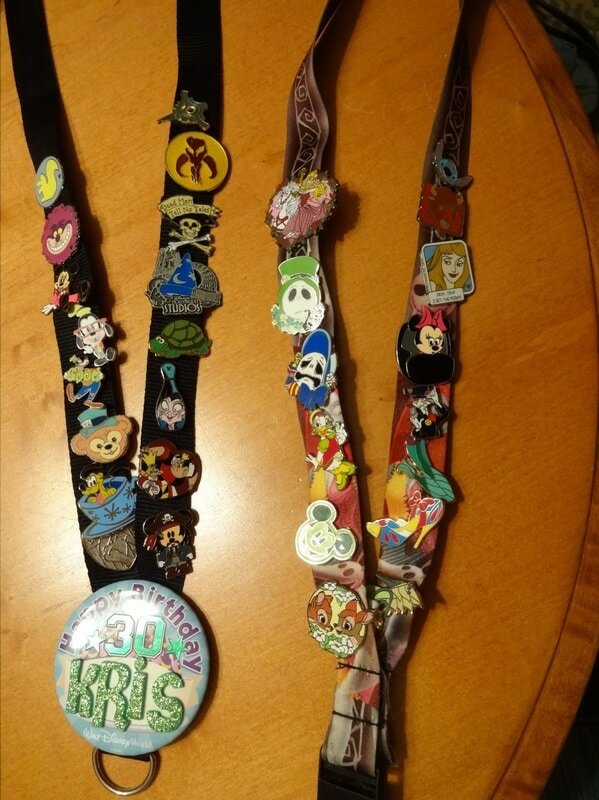 Lanyards, or the 'necklace' your badge hangs from, are used by all Cast Members and Guests to store and display pins they have collected. 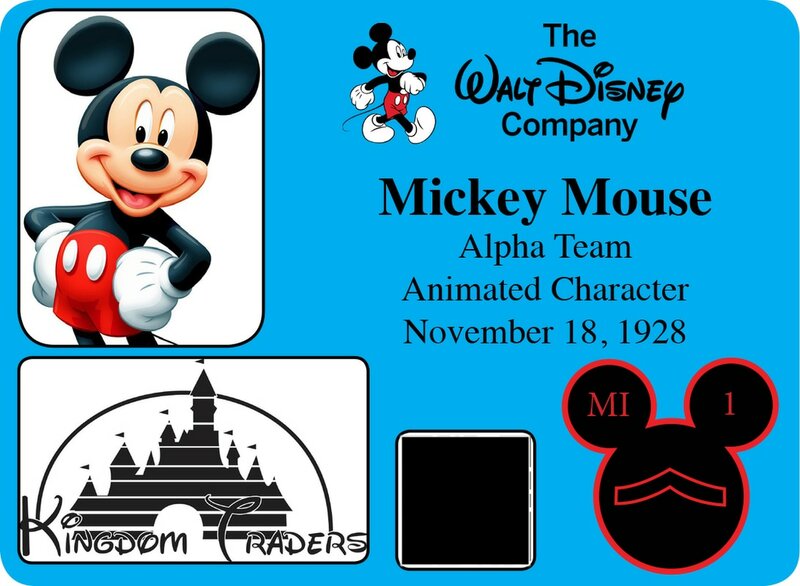 Kingdom Traders will use their lanyards to store special kinds of pins, Park Pins, those pins that have the name of a specific Disney Amusement Park NAMED on it. The Pin(s) will be "processed" by the GM and returned to the player with a card that shows that the pin has been 'enchanted' with a special ability. These abilities are only good for one use per game and the player may have as many pins 'enchanted' as they wish with different abilities but a limit of SIX per lanyard can be displayed per game. You may keep your enchanted pins with your Character Sheet and keep the ability cards close by, they may be needed as proof that the pin(s) have been enhanced. The cards WILL be asked for. Note: The more Enchanted Pins you have the better, players will be asked at the beginning of each game to 'load up' their lanyards, the more pins one has the wider range of objectives you can prepare for. As your Character progresses in the game, you will notice that your badge and lanyard will too! Badges, Lanyards and Lanyard Pins and their cards are to be kept with your Character Book at all times. Personal Note: Thank you everyone for showing interest in wanting to come and play in the world's biggest playground with us. Both Shannon and I consider it an honor that you wish to see this destination through our eyes. … all right, lets do this!